We’ve reached the final day of the nature photo challenge. I’m a bit proud of myself. Seven blog posts in seven days! 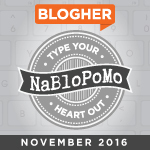 I applaud those of you who blog daily, but blogging every day for a week was quite a feat for me. I had a little trouble deciding on today’s photo. A moon shot? A tree lined path? Another flower? A rainbow peeking out from the clouds? Far too many choices. Today, I leave you with a sunset, an appropriate end to the challenge. This is another photo from Maui. Hubby and I were on a yacht (with others) on an evening tour around the islands of Maui and Oahu before ending at the Maui Ocean Center. We were graced with this beautiful scene before everything became pitch black over the waters. The weekend is mere hours away, and I’m dreaming of sunset Friday and a period of rest. Appropriate and gorgeous! I’ve never been to Hawaii. Congratulations on your seven days of posting. That’s a challenge I would not be good at right now, I’m challenged to do one a week! Thank you so much, Laurie! To be honest, that challenge was pretty difficult. I don’t know how I did it and I know for sure I cannot be a daily blogger. My goal this year is to blog “something” at least 3-4 times per month. I enjoy blogging when I can, but the reality is I really need to be working on my book! My gosh, I love those girlfriends postcards! Definitely wish they were still in business! There is such a need for more African American products like this. Aren’t those notecards wonderful! I can send you one blank or written on, if you’d like. Just send your addy–iamnnyla@gmail.com. Thanks for dropping by!